The most awaited result of the year IBPS CLERK 2017 – 2018 Mains Exam results will be released today afternoon. 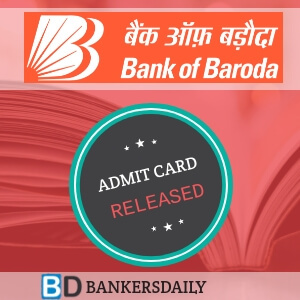 We know many of the candidates are eagerly waiting for the Announcement from the IBPS (Institute of Banking Personnel Selection) and today is the D-Day. The results have been released and aspirants can check the results now. Aspirants can check the results of the IBPS CLERK EXAM 2017 – 2018 – Online Main Examination and the results are available till 1st April, 2018. 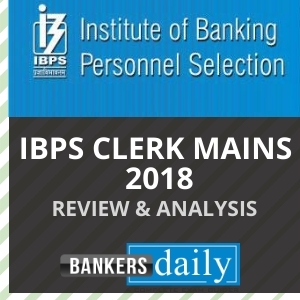 Aspirants can check the results of their IBPS CLERK Mains Exam 2017 – 2018 (which is the final one before the verification process) from the link that is provided below. Team Bankersdaily will update the Link with the actual link when it changes in the IBPS website. Team Bankersdaily , wishes all the aspirants who have crossed the biggest battle of their life to secure a wonderful place in the selected list of candidates in the Mains Examination. The Selected aspirants have achieved what they longed for a long time and this is your day , enjoy the victory as this has been obtained through hard work and immense preparations. For the Aspirants who have missed the victory in the small fractions , don’t worry for the wings of your’s will have to fly more to achieve the glory of victory and it will happen soon. Never loose hope, for victory is always a step near of hard ward and perseverance are with you. A list of candidates provisionally allotted will be available in IBPS website o or before 1st May, 2018. However , it has been mentioned that , this is the not the final one and the participating orgainsations decision will be final.